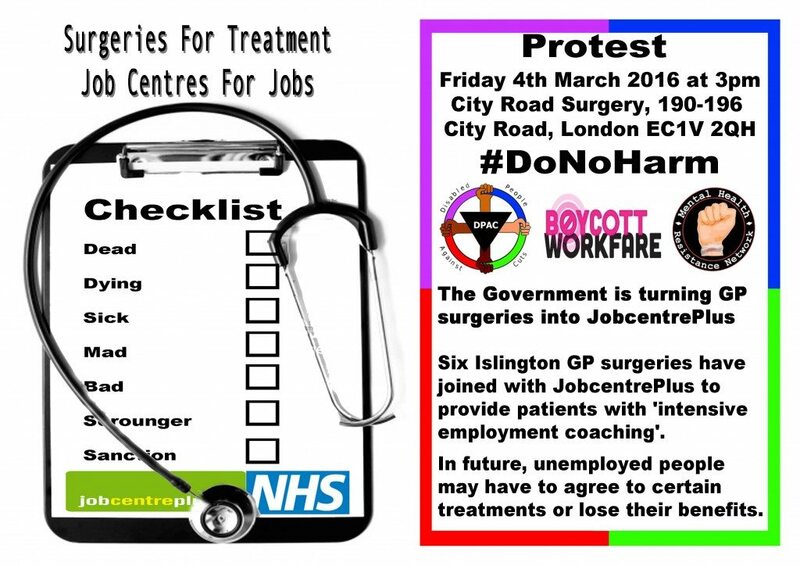 Job coaches in GP Surgeries? No! We call on GPs to ‪#‎DoNoHarm‬. Please support by using the template letter (amend as you wish) to send to your MP and your Doctor. and if you can …..
Wow, the DWP has enough money to employ extra job coaches and send them out to GP surgeries but can’t afford to pay ESA for people attending the surgeries BECAUSE THEY’RE SICK ? Small wonder the jobless figures keep going down if the DWP is spending all the welfare allocations on Maxima and court fees on top of dodgy physiotherapists doing assessments. Disgusting and despicable not to mention a new low by the scumbag Smith.